Laser technology and modern sensors are paving the way to digital production. Thanks to Photonics 4.0 simulation, digital design and real production processes are growing ever closer together. During the leading world trade fair LASER World of PHOTONICS in Munich from June 26–29, 2017, leading manufacturers and research institutes will present tailor-made solutions for tomorrow’s networked and highly automated world of production. Light is the most important tool in the 21st century. In semiconductor factories UV lasers and high-performance optics are ensuring increasingly more efficient and cheaper microprocessors. The broadband Internet would be inconceivable without optical data transmission. 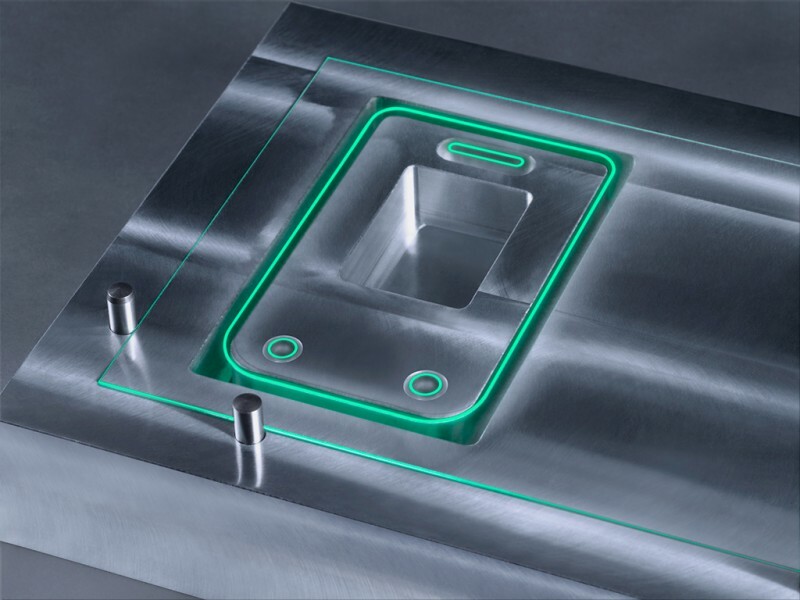 Cost-efficient, perfect miniaturization is only feasible with accurate measuring and inspection systems. The three cornerstones of Industry 4.0 are thus defined: Inexpensive processors, efficient data networks and precise process monitoring. At its core, Industry 4.0 is therefore Photonics 4.0. However, photonics is not only the basis of networked production, it is also the driving force to an increasing extent. In particular, precisely applied and digitally controlled laser technology is now absolutely essential. Lasers drill, cut, solder, weld, and perforate. They harden steel and process metals, plastics, glass, diamonds, wood and ceramics , and many other materials with extreme precision. The concentrated light works without contact. It therefore does not introduce any mechanical forces into the processes and, conversely, is not affected by wear and tear. Other advantages of laser technology include its high degree of flexibility and speed. However, the greatest potential for digital production is cold material processing using ultrashort laser pulses. Modern ultrashort pulse lasers have frequencies up to the megahertz range together with high pulse energies. Metals and many other materials can therefore almost be removed atom by atom. Heat influx into the workpiece is minimal. Unwanted melts and material splatters no longer occur. Translated to the digital production world of Industry 4.0, this means the following: Material processing pixel by pixel. Simulations and digital design match real processes more precisely than ever before. 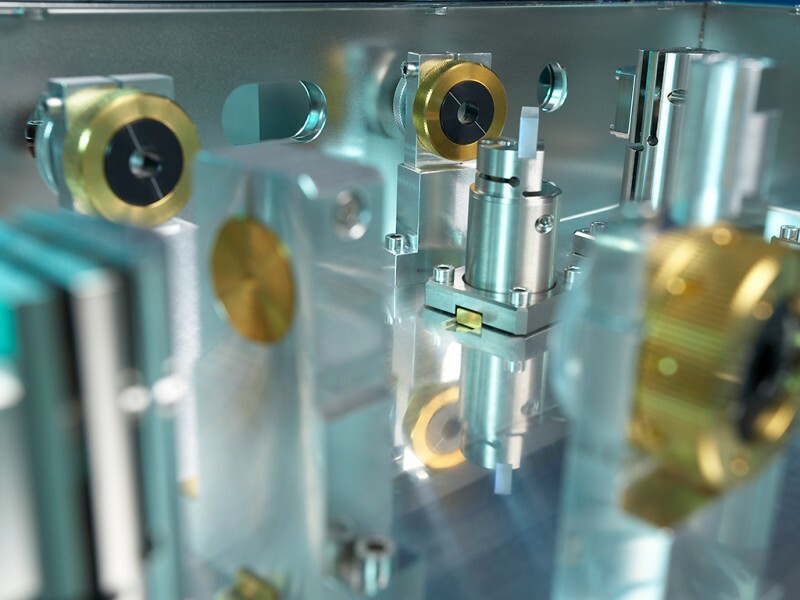 “We talk about digital processing because lasers carry out previously simulated processing exactly in digital process chains,” said Prof. Andreas Ostendorf, the long-standing President of the Scientific Association for Laser Technology (WLT), recently in the LASER World of PHOTONICS Newsletter. A second photonics mega trend is also leading directly to digital production. Additive manufacturing; i.e. tool-free application and removal of metal or plastic components using 3-D printing and laser deposit welding processes. Lasers translate digital design data into real components in this case. A large number of players from this young technology sector will present a wide range of processes during LASER World of Photonics 2017 in Munich from June 26–29, 2017: Miniaturized metal printing, micro processes for additive processing of glass and other transparent materials, manufacturing of 3-D micro and nano structures made of photosensitive materials or laser melting processes for steel, cobalt-chromium and precious metals such as gold and silver. During the trade fair not only leading manufacturers and solution providers will present their latest innovations. 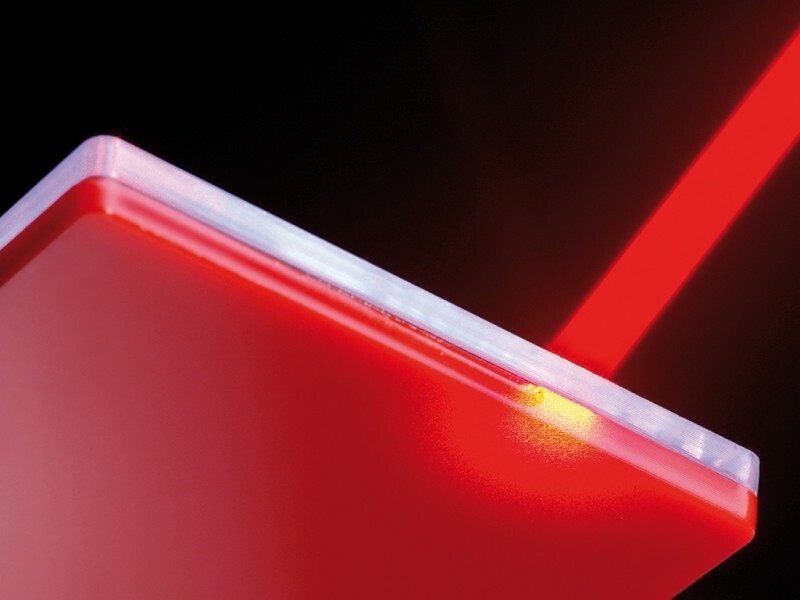 The Application Panels Laser and Optics in Hall B3 and Industrial Laser Applications (Hall A3), as well as the Lasers in Manufacturing Conference LiM 2017 during the WORLD of PHOTONICS Congress will also focus on light as a production factor, as well as the 340 exhibitors who have their focus on this topic. View of the inside of an ultrashort pulse laser from TRUMPF's TruMicro Series. The mechanical stress on the material is minimal during laser cutting of glass with a TruMicro ultrashort pulse laser. Since no cracks are formed on the edges, the cut components need no longer be ground down. Pacemaker according to Moore's law. 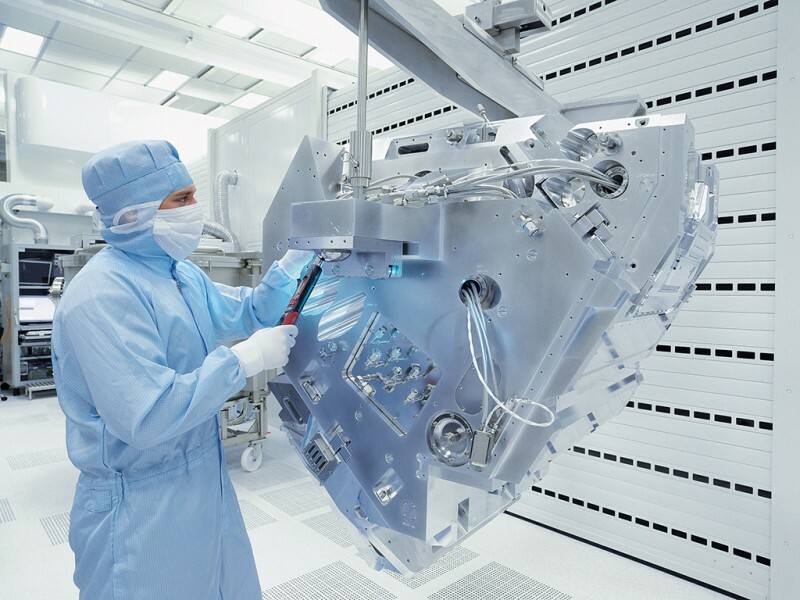 High-precision lithographic optics from Zeiss will in future expose wafers using extreme, ultraviolet light with a wavelength of 13.5 nanometers. Laser plastic welding is becoming established. ROFIN supplies systems which record real-time temperature curves by means of a pyrometer and therefore support “closed loop” control. A 3D-printed miniature of the Karlsruhe Pyramid. 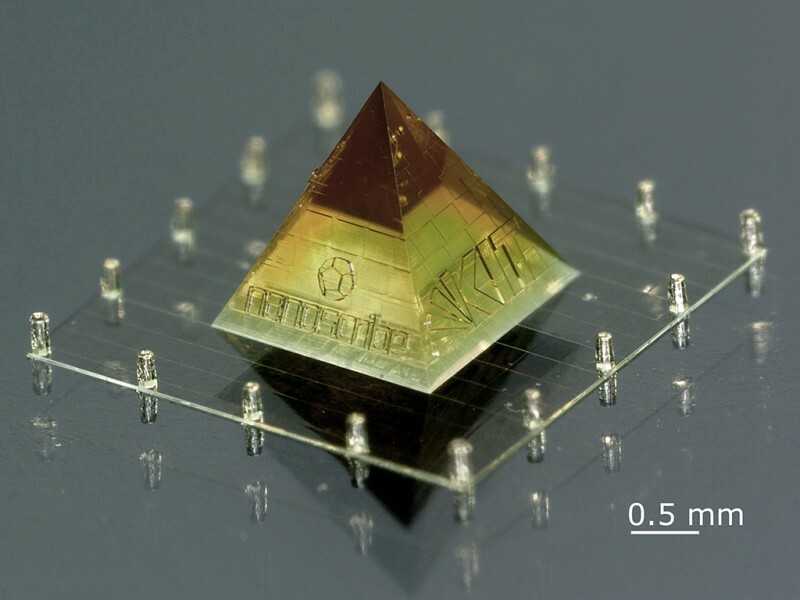 Nanoscribe has integrated logos of the HeKKSaGOn Conference and the Karlsruhe Institute for Technology (KIT), as well as its own company logo in the pyramid although it is only 2 millimeters high. The dentist performs a scan. 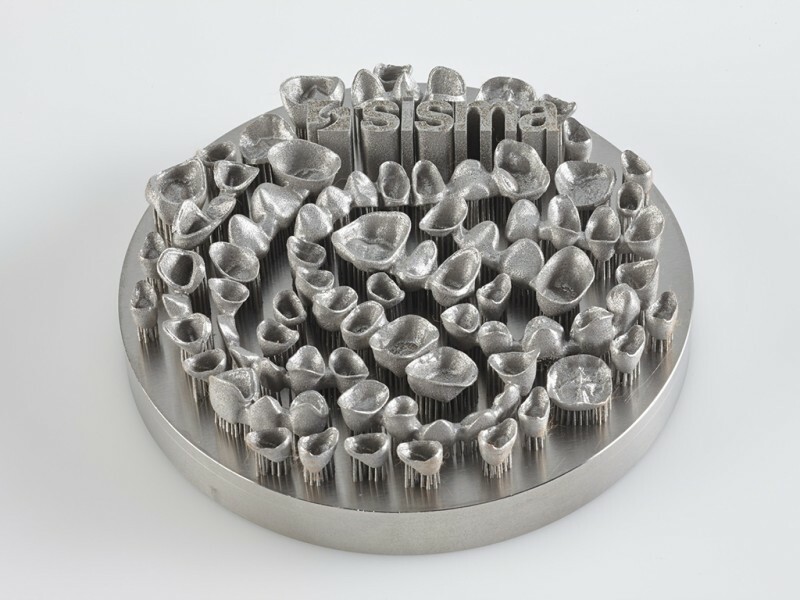 Dental laboratories translate the 3D data into print files. And 3D printers produce substructures individually adapted to patients for their dentures.